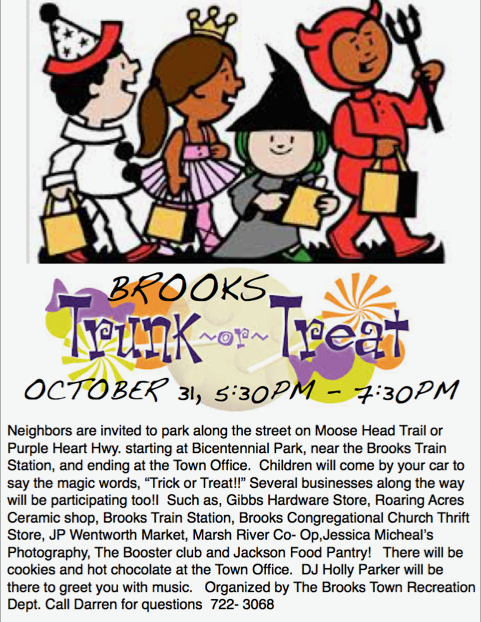 In addition to the Co-Op doing a pumpkin carving/coloring contest the town of Brooks is also doing a wonderful event for the kids. Below is the flyer for details and it’s wonderful to have so many members of the community and business support this great event. We look forward to seeing you there!